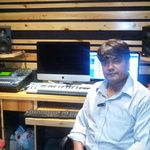 Hi, This is Prashant Tripathi Full time Freelancer Pro. My skills are - -Video editing (premier pro,Video conversion in any format -English to Hindi and Hindi to English Translation -...Read moreHi, This is Prashant Tripathi Full time Freelancer Pro. Having my own setup of Post productions Like Recording studio and Video and Audio editing setup. I can do work as soon as possible.